From an educational perspective, eating breakfast has been shown to improve children's problem solving abilities, their memory, concentration levels, visual perception and creative thinking. From a health perspective, eating a balanced diet is crucial to everyone's health needs especially children. 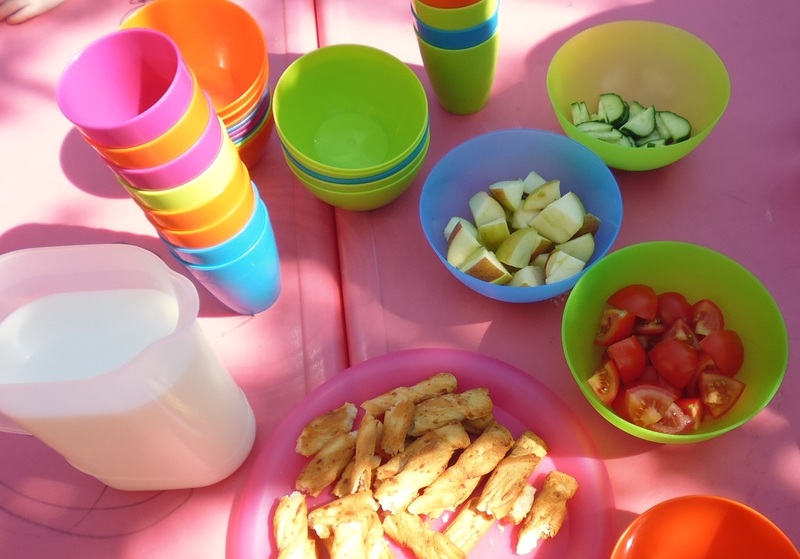 Our Breakfast Club session provides the ideal opportunity for children to begin the day by eating a selection of foods including toast, cereals or fruit. Children can choose to drink fruit juice, milk or water. The children will be provided with healthy snacks during the day, to satisfy their appetites. 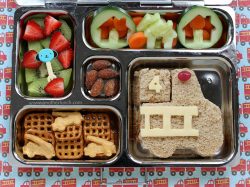 These snacks will provide the children with at least 3 of their 5 recommended daily portions of fruit and vegetables. Water is available at all times for the children to drink. Alternatives to sandwiches - wraps, pitta bread, sausages, ham, chicken, cheese, crackers, pasta & salad. Healthy eating is important to us, which is why we have chosen 'Little Tums' to provide us with an extensive range of high quality, balanced, nutritious and tasty meals. Meals are made in a nut free kitchen and in the interest of general health, all are without excessive salt, sugar and fats. 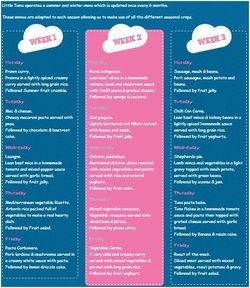 You can order weekly or half termly. There is a £2.50 admin fee per order. All dietary needs will be met and cost just £2.60 per day.